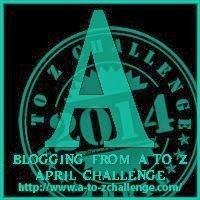 Here we go with the April A to Z challenge - What's that? You can see more below. Most recipes you see for tarte tatin you cook the apples in the pan in caramel and place the pastry on top and bake it in the oven. That's one way of doing it. 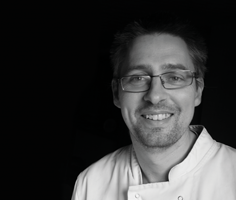 But for the events we cook we need to prepare in advance, take ingredients half prepared to the venues we cook at so it is easy to finish. The first time I made the tarte tatin I came up with this way of cooking it - cooking the apples in caramel first and cooling them. Then you place them in baking tins at the venue, place the pastry on and bake them while they guests are eating the main course. 1. To make caramel - see this useful step by step recipe. 2. Apples - Peel and core the apples and cut in half through the middle. Work on 3 halves per person. 3. Put the caramel on medium heat - I do this in heavy duty deep baking tins which are fine to go directly on the stove. You can also use deep frying pans. I find if you use saucepans it's hard to turn/ move the apples and you can end up breaking them. 4. Cook the apples in the caramel for around 5 minutes, turn and cook on the other side for about 5 minutes - till soft. Take off on to a tray to cool. You can do this in advance - the day before you are making the tarte tatin. Once cool the apples can be covered and refrigerated. 5. 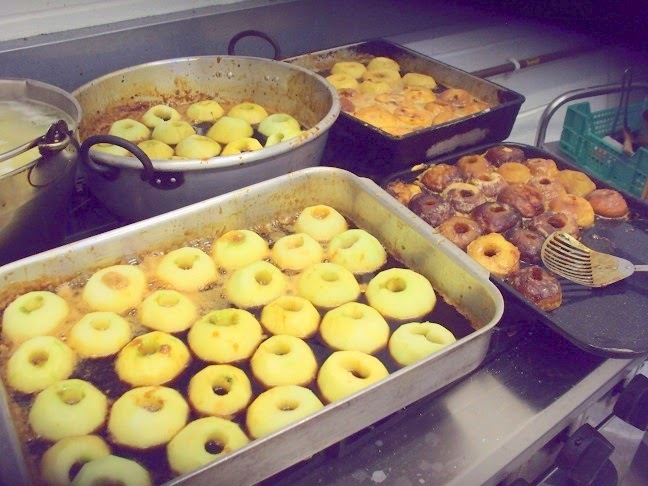 To make the tart tatin place the apples in a greased baking tin - this could be individual size or large - depending on how you want to serve it - see both examples below. Cut out puf pastry so it is just slightly larger the the rim of the baking tin and place the pastry on top of the apples. 6. Bake in the oven at 200 oC for about 15 - 20 minutes till pastry is risen and golden. Turn out upside down on to serving plate. 1. Works better baking it at the top of the oven - puff pastry likes high heat. Pastry also works better in fan oven. 2. I use aluminium foil trays to bake these in - it helps keep in the caramel as the tarte tatin is baking. Also easier to turn out and no washing up! If you are using a loose bottomed baking tin place a tray underneath it as it bakes to catch any caramel drips - saves washing the oven afterwards! 3. You can also do this with other fruit - pineapple is great. You can also use plums (de-stone them. You don't need to precook them - just place them in the tin with a bit of caramel and the pastry on top). What is the A to Z blogging challenge? At the last count there are 2160 bloggers taking part - big number! 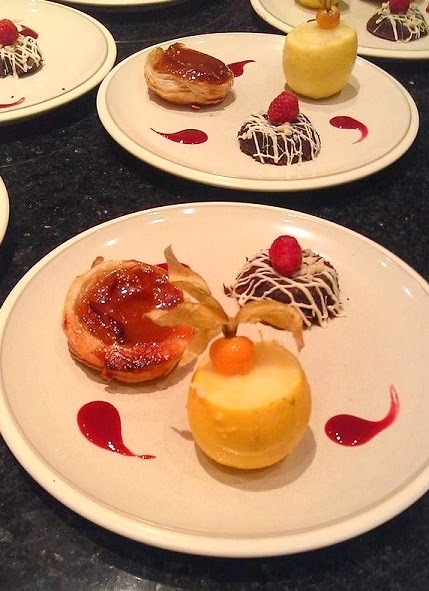 This Tarte Tatin looks divine, James. Look forward to the other treats you have in store for the rest of April. I'll have to come back in May so that I can try these out. Thanks! Stop by any time! Oh my goodness! This looks stunning. I know I'll be back throughout the month. I love the instructions and the photos as well. Yummy - and it's nice to come across someone close to home on the A-Z challenge! Will all your posts be your own recipes? @Lynda - do come back there's loads planned! @Cathy - close to home is right (we're in Tewkesbury). They'll all be things I've made - but sometimes use other ppl's recipes.... like tomorrow's. Oh all I can say is YUM! I know I will be back throughout this A-Z month for sure! Oh Crikey, I'm making a mental note not to come read your blog again until I've had tea... I'm now craving your dessert! Yum, like another reader said I may have to come back in May when we all have a bit more time and try some of these out. @Psch Babbler - healthy: of course. Especially if you eat it on a Sunday - calories don't count on Sundays! Oh Yum... Looks like you're having a good start to the A-Z Challenge. Thanks for the recipe too. Welcome James to the A to Z Challenge! I do love anything apple. So does wifey and the kids. Thanks and we're going to try to make the tarts.